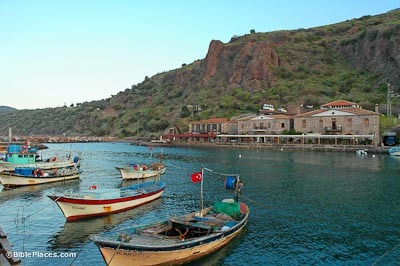 Assos is located in a region of Mysia (northwest Asia Minor) called Troad. It is built on a great volcanic cone 700 feet high, making it a well-fortified site with both natural and artificial terraces. In 331 BC, the philosopher Cleanthes was born here, and it has been suggested that Paul’s statement in Acts 17:28 (“as even some of your own poets have said, ‘For we are indeed his offspring’” ESV) is quoting from Cleanthes. 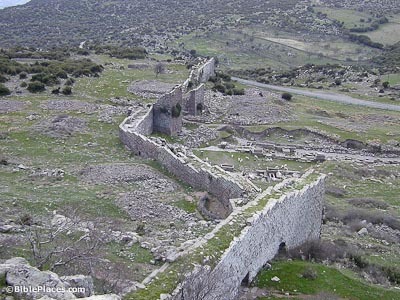 These city walls were constructed by the Greeks in the fourth century BC and are very well preserved. 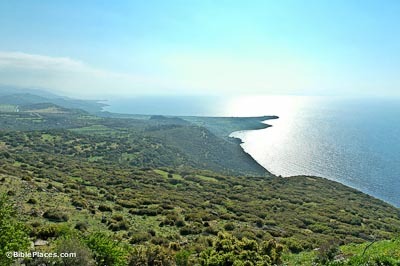 On the last leg of his third missionary journey, Paul walked from Alexandria Troas to Assos (Acts 20:5-6, 13-14), where he met his companions, who had gone ahead of him by sea. 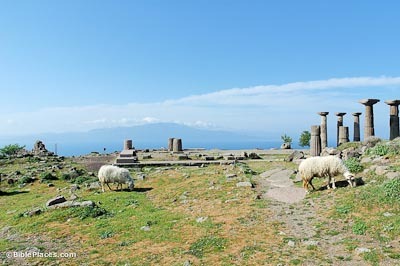 It was about a 20-mile (32-km) journey, and judging from the positions of the cities, he likely entered Assos through this northwest city gate. On the 700-foot-high acropolis rests the Temple of Athena, made completely of igneous rock called andesite. It bears a mixture of Doric and Ionic styles and dates from 530 BC. Elsewhere on the hill, excavators discovered a gymnasium, a treasury, baths, a theater, a necropolis, and a rectangular agora (marketplace). Also, a Byzantine wall surrounds the acropolis. 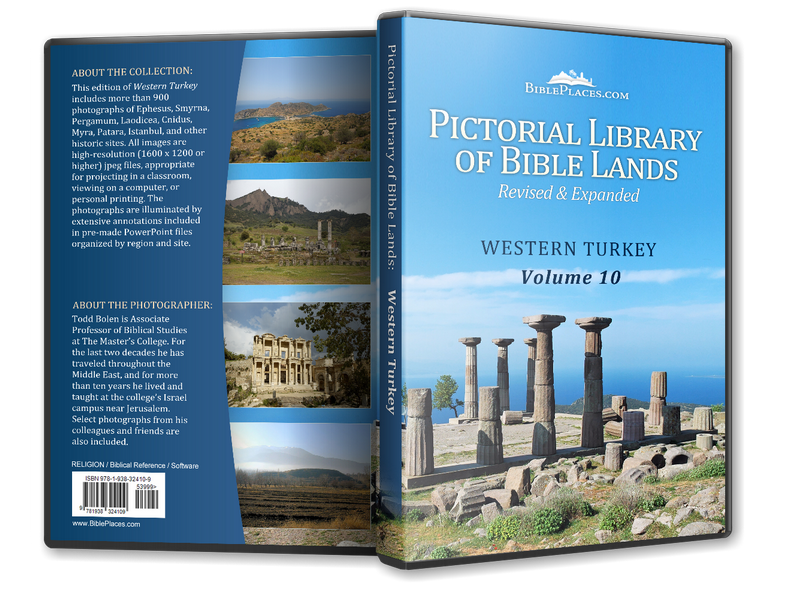 After Paul reached Assos, he and his companions sailed to Mitylene on the island of Lesbos as they traveled to Jerusalem. The harbor from which they sailed has silted over, but inhabitants of the modern city (Behramkale) have constructed their own artificial harbor, today used mostly for fishing.